Friends Seminary is celebrating the 10th anniversary of its Arabic Language and Culture program, which starts in fifth grade and continues through 12th grade. Currently, the school offers seven levels of Modern Standard Arabic with exposure to the Levantine dialect.The Arabic Program at Friends was born from the desire to build bridges of peace, to explore, appreciate and respect cultural differences, and to teach students to listen with intent and give back in their own ways. The program offers an eclectic curriculum with a focus on real world scenarios that includes poetry, music, games, and past spring break trips to Morocco, Palestine and Israel, marrying a rigorous academic curriculum with the aesthetic beauty of the Arabic culture. 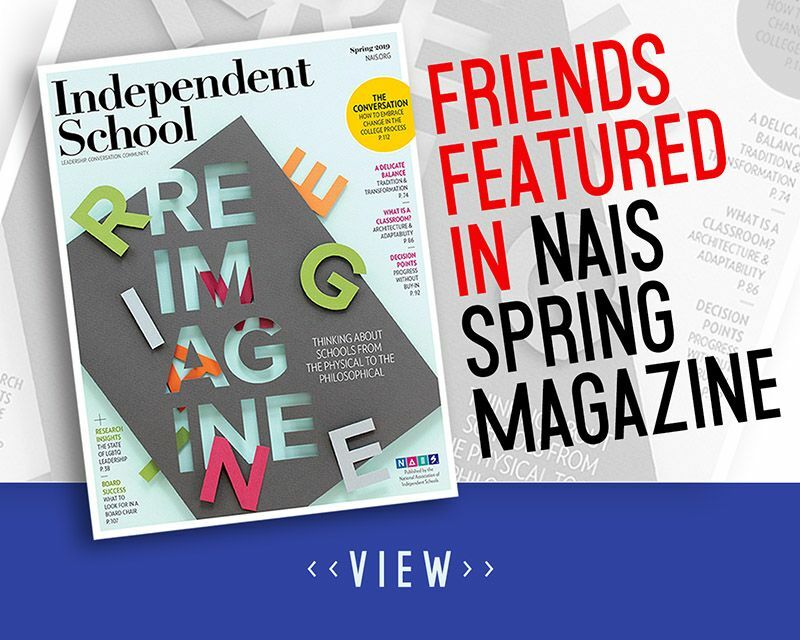 Click here to read the story in the Spring edition of NAIS' Independent School magazine.